M-DESK F1 is only 2cm thick after folding. The slim and sleek design along with the light green/grey and white color match gives you a feeling of freshness and relaxation. 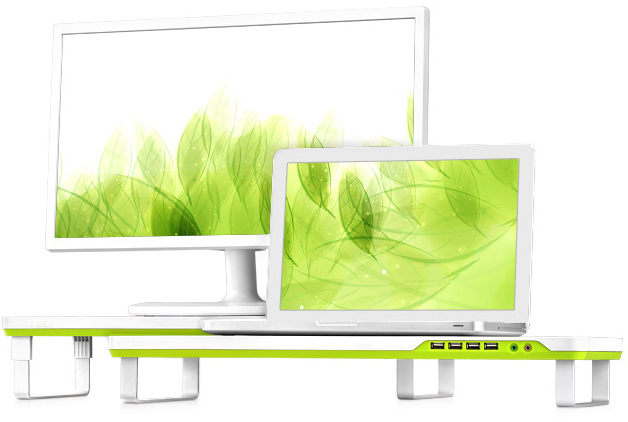 Two silver aluminum alloy supporting feet provide enough force to hold the monitor. 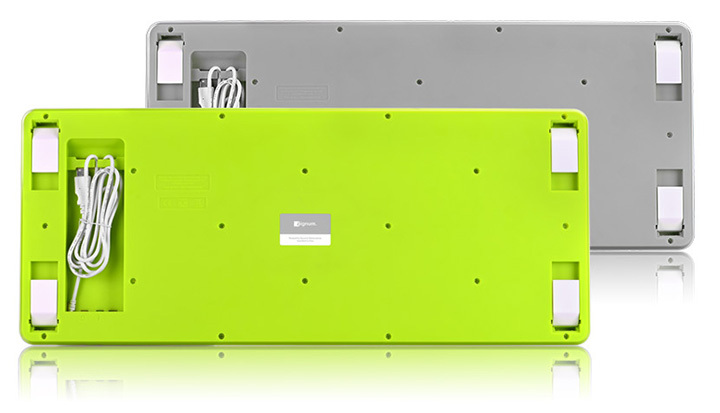 M-DESK F1 is in a simple rectangle shape without flaring decorations.There are two optional colors, green and grey. However, it is featuring two adjustable viewing heights and convenient extension USB and audio ports, which offers users great convenience and comfort. M-DESK F1 is only 2cm thick after folding. 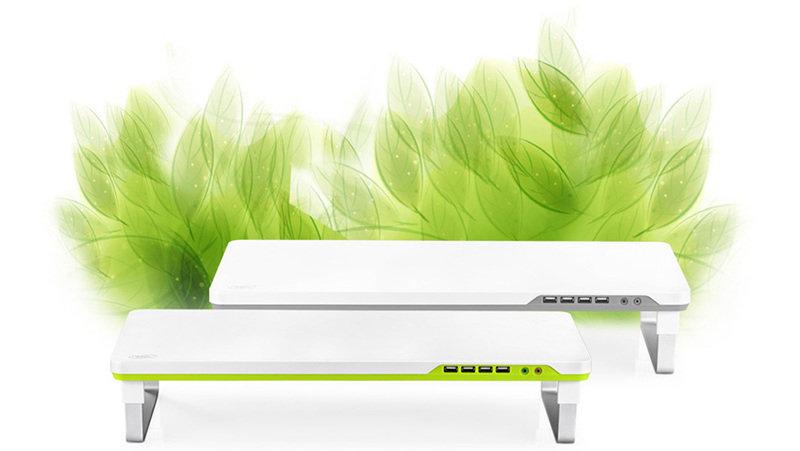 The slim and sleek design along with the light green and white color match gives you a feeling of freshness and relaxation. Two silver aluminum alloy supporting feet provide enough force to hold the monitor. The detachable design of these feet enables users to adjust the height between 7.5cm and 10.4cm. 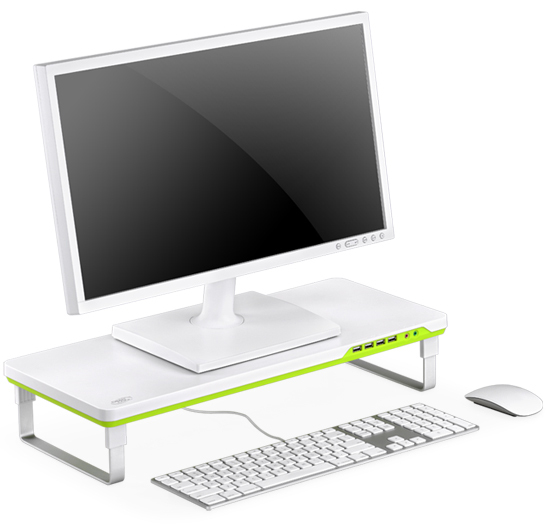 M-DESK F1 is an easy-to-use monitor stand for both desktop monitors and laptops. This exquisite and fashionable device offers two viewing angles for your comfortable usage. 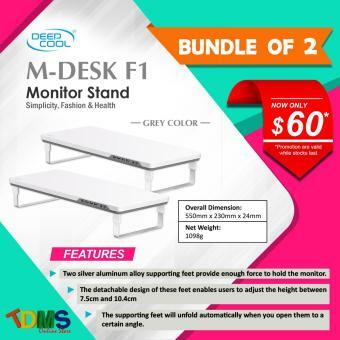 M-DESK F1 is designed for both desktop and laptop users to provide a better viewing angle for the most comfortable usage. The strong design can hold all monitors up to 27 inches/10kg. Supporting feet made from silver aluminum provide an 7.5cm height increase for your monitor, and when used along with the four plastic feet, this height can reach 10.4cm. Don’t slump any longer! Now you can sit straight and enjoy the comfort! 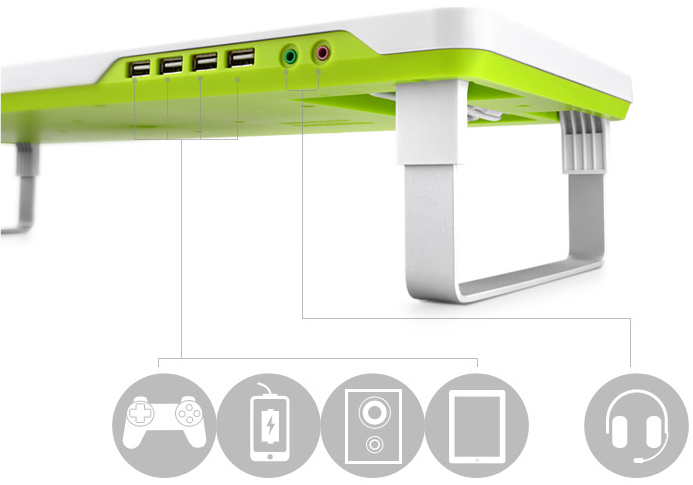 Equipped with 4 USB ports and a pair of audio jacks, M-DESK F1 enables you to connect your devices right away without bending down. And you don’t need to worry about a short earplug cable any more. Just plug and play! Underneath the M-DESK F1, a spacious storage area of 550mm*230mm lets you stow your gadgets away, right up to a full-size keyboard. M-DESK F1 helps keep your work area tidy! 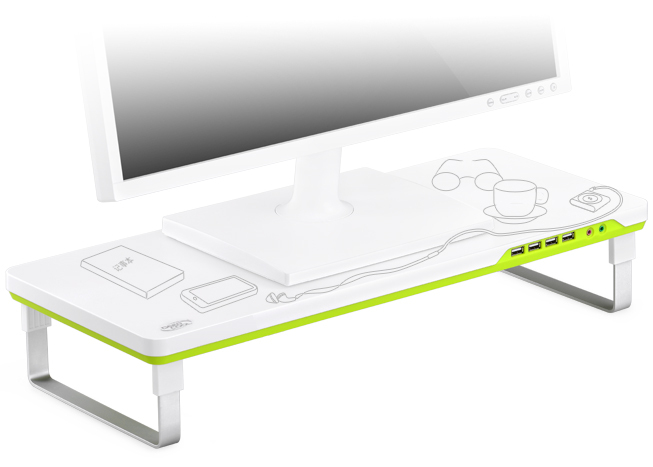 M-DESK F1 can be the desk for your small gadgets and stationeries, such as cell phone, stickers, glasses, cups etc.